The Independent National Electoral Commission (INEC), has promoted 2,209 members of staff in its 2018 promotion exercise. 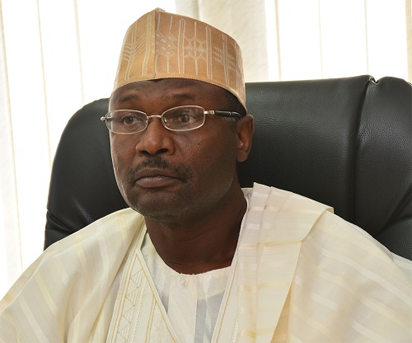 The Commission made this known in a statement issued by Mr Mohammed Haruna, INEC National Commissioner and Member, Information and Voter Education Committee on Thursday in Abuja. The promoted staff according to Haruna is made up of 847 junior and 1,362 senior staff. Haruna said that the Commission at its weekly meeting held on Thursday considered, among other things, the report of its Appointment, Promotion and Disciplinary Committee (AFDC) on the 2018 promotion exercise. “In furtherance to the Commission’s commitment to the welfare of its staff, 2,209 were promoted. “Out of a total of 927 junior staff who sat for the 2018 promotion examinations, 847 passed and were promoted accordingly. “Of the 1,847 senior staff who took the exams, 1,517 passed. However, 1,362 were promoted in accordance with the existing vacancies. “Out of this number, 315 persons were promoted to Directorate Cadre, eight of whom have become Directors,” he said.